New year, new start, new you. For me, the new year is exciting because it marks 6 months until my wedding in June but apart from that it’s just the beginning of another month and I’m cracking on with my consistent training and nutrition. That said, I am going to do a detox but the Fitology way. When things are busy my sleep suffers because my brain is whirring all night. 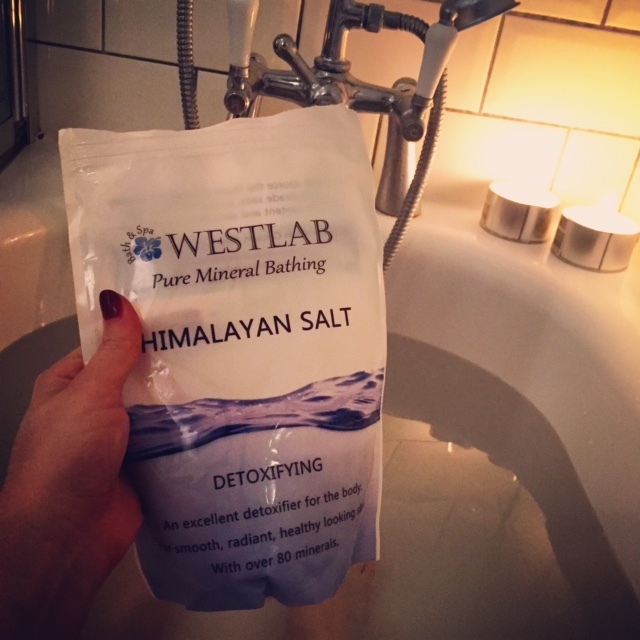 I’ve been trying out the Himalayan bath salts from Westlab in my nightly baths to help calm my mind, remove some of the toxins from my body and top up my levels of minerals like potassium, magnesium, calcium and iron (there’s over 80 in these salts!). It’s also sorted out some dry patches of skin on my lower legs from shaving and helped me to drop off to sleep like a baby which is important when I’m up at 05:30 every day! So there you have it, that’s how I’ll be detoxing this January, the Fitology way. Are you detoxing? If so, how’re you doing it?